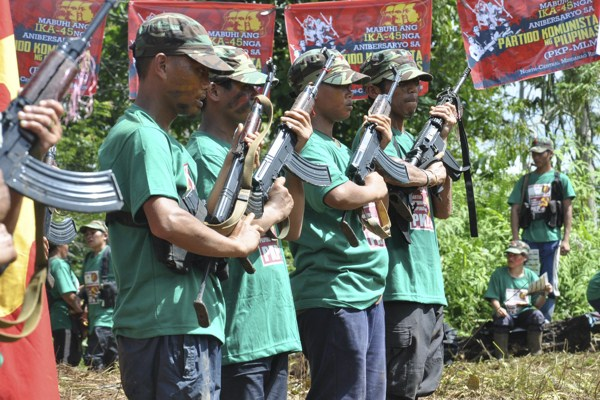 Communist New People’s Army (NPA) rebels hold weapons in formation in the hinterlands of Davao, Philippines, Dec. 26, 2013 (AP photo). In late February, communist rebels killed five Philippine soldiers in an ambush in the northern Ilocos Sur province. In an email interview, Patricio Abinales, a professor of Asian studies at the School of Pacific and Asian Studies at the University of Hawaii-Manoa, discussed the Philippine communist insurgency.